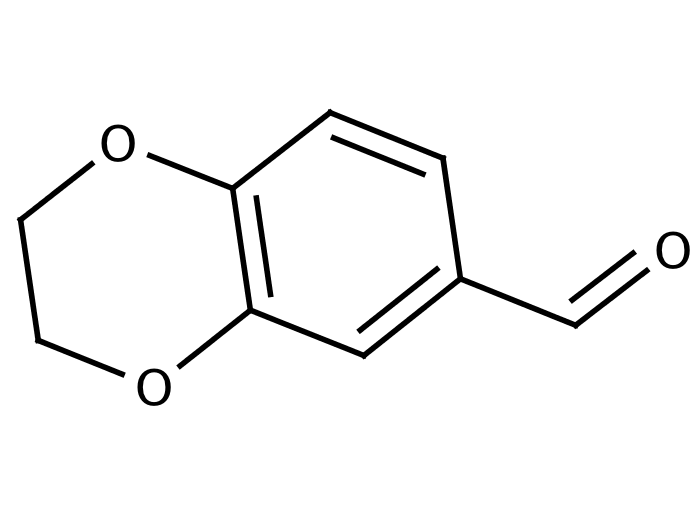 1,4-Benzodioxan-6-carboxaldehyde has been used: as building block in the synthesis of tetrahydroisoquinolinones, in the preparation of benzofuran analog, a potential inhibitor of CAMP-specific phosphodiesterase type IV, in the synthesis of (5Z)-5-(2,3-dihydro-1,4-benzodioxan-6-ylmethylene)-1-methyl-2-thioxoimidazolidin-4-one. Send us your enquiry for 1,4-Benzodioxan-6-Carboxaldehyde. We offer custom pack sizes at special prices. We aim to respond to your enquiry within 24 hours. We value your input so if you have suggestions regarding new applications for 1,4-Benzodioxan-6-Carboxaldehyde email us and we will include your contribution on the website.